Seas0nPass has been updated to support a TETHERED jailbreak of the new AppleTV 4.4 (iOS 5) software released on 10/12 (also supported are the new minor updates - 4.4.1 released on 10/17, 4.4.2 released on 10/24, 4.4.3 released on 11/17, and 4.4.4 released on 12/16). Full details on what's new in 4.4, status of 3rd party features, and how to update are below. Currently the jailbreak for 4.4+ is tethered, which is a bit less convenient than an untethered version. If the features added in 4.4 excite you it may be worth updating; however, the previous 4.3 version will continue to be supported so updating is not required. 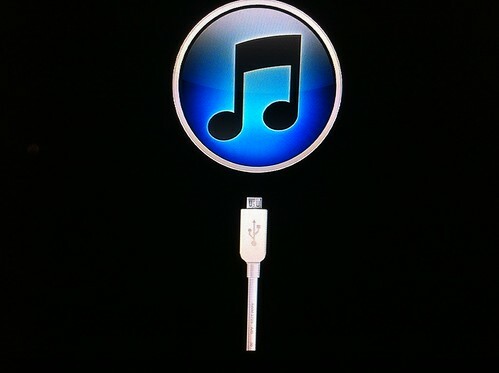 AirPlay Mirroring: Now with video mirroring – wirelessly stream what’s on your iPad 2 screen to your HDTV. Photo Stream: View photos recently taken on your iOS device and pushed to your Photo Stream in iCloud. Trailers: A whole new way to browse and view hundreds of the latest theatrical trailers. National Hockey League: Watch live games. View highlights, scores, and more. Wall Street Journal Live: Watch up-to-date news, business commentary, and financial analysis from leading experts. Apple has also added support for subtitles in Netflix and three new slideshow themes: Photo Wall, Flip-up, and Shifting Tiles. Which plugins are supported on 4.4? Seas0nPass will default to the latest untethered version, which is currently 4.3. If you want to use Seas0nPass to update and jailbreak a newer version simply follow the steps below. Download version 4.4.4 (9A406a) and save the IPSW in an easy to find location. Download the latest version of Seas0nPass. Open Seas0nPass and Option + click (Mac) or Shift + click (PC) the Create IPSW button and select the new IPSW file that was downloaded in step #1. Seas0nPass will complete the jailbreak and restore process automatically. After the restore is complete, move the AppleTV to your TV and follow the steps for performing a Tethered Boot. A demo video that outlines the tethered jailbreak process can be found here. Update: It seems Apple has taken down the 4.4.1 AppleTV update due a number of reported issues. For now 4.4 is the recommended version for those wishing to update. Update 2: The 4.4.1 version has been re-released. Update 3: Seas0nPass has been updated to support AppleTV 4.4.2 - released on 10/24. Update 4: Seas0nPass has been updated to support AppleTV 4.4.3 - released on 11/17. Update 5: Seas0nPass has been updated to support AppleTV 4.4.4 - released on 12/15. I agree with the previous comment. The only thing I use my Apple TV for these days besides watching YouTube is XBMC. Not having this makes the jailbreak useless for me. I hope this gets up and running soon. Thanks James. The devs of 3rd party plugins like Plex and XBMC will need to update their plugins to be compatible with the new 4.4 software. Seas0nPass simply provides the jailbreak. Thanks for getting this out there so quickly. Just got an iPhone 4S and can't wait to try out the mirroring. Also just wanted to let you know that your Media Player is great! Nice work! Update point number 3. Does the ATV2 have to be connected to my mac during this part? Seas0nPass will prompt you to connect the AppleTV via USB when required. Thanks! Glad to hear you're enjoying it. Had several tries already but can't get Seas0nPass to open a new file, even with Option+click it downloads the file. Is there a cache which need to be cleared to enable it to select a custom file? Thanks for the fast update BTW. I'm waiting for an untethered jailbreak myself, but it's nice to see there's already a tethered one available. That reminds me… the ATV2 doesn't really ever reboot right? I mean, the only option it has is "sleep", and the only way it will ever run out of juice is if there's a power outage right? Anyway, thanks for the update, and I can't wait to see the untethered one! Mirroring is définitely the biggest new feature I'm hoping to make good use of, hehe. Does mean that the ATV has to be tethered each time to start it up? nothing happens when i hold menu and play/pause for 7 seconds? Right now it does… if you actually restart your ATV Which from what I can tell pretty much never happens. What's the difference between TETHERED and UNTETHERED??? just trying to learn. Thanks! Note that you'll get a script error if you're running full screen iTunes in Lion. Just run iTunes not i full screen mode, then it will run the script like normal. I can't wait to get plex on 4.4 thank you guys! I think it means connected to a mac/pc. It would help if the language used was not so technical and that these processes are simplified and made a lot smoother and less geeky. More customers would probably be attracted as well. That was really fast update. Can anybody post me a link where can I watch XBMC compatibility status with new ATV update? Googled, found nothing. "Tethered" means that you need to run "SeasonPass" to unlock your AppleTV EVERY TIME you turn it off. Whereas "untethered" jailbreak is still active when you restart the AppleTV. enemy new functions in media player update u release to day. ad enemy new funktions in the web browser? You should try Media Player. I have been using XBMC and PLEX for a while, since I discovered Media Player I am not going back. Media Player developers are still working on some issues, but with MKV and ISO support plus AC3 and DTS, I am good to go. I think these guys will own the market once they release the final product. Imagine no more reboots in the middle of movies. I am happy with Media Player and it is only getting better. Yes, there are some add-on on XBMC Media Player doesn't have, but I rather have an stable product and the option of streaming from a NAS (Plex depends on a server). Anyone else having a problem with Seas0npass not installing aTVFlash? It's simply not there; the OS looks stock. I ran Seas0npass twice with the 4.4 ipsw with my MacBook Air. jailbreaking and tether booting went fine for me. Trouble began when I installed aTV Flash. It seems to go smoothly as well but after the install completed the aTV got into a reboot loop. It seems to be network related as the only way to get out of this loop was to turn off my router. I have restored the aTV to the original 4.4 and I'll wait for the tethered boot, hoping it will fix this issue. Downloaded the IPSW file, downloaded Seas0nPass, shift+click create IPSW, selected downloaded IPSW file, Seas0nPass did a bunch of stuff, now nothing happens when I hold menu and play/pause. does anyone now how I can restore my atv to 4.3? so that I can use the untethered jailbreak? Wow, I feel like an idiot. I totally forgot that the aTVFlash app was a separate application that had to be run after jailbreaking with seas0npass. It's been so long since I jailbroke my ATV2 that I didn't remember that was a separate process. Yes, you have to run aTVFlash after you jailbreak. Jailbraking went fine but atv flash could not defect any Apple tv's so it would not install.. Reverted to the 4.3 version with no problem.. Installed Seas0nPass without issue (other than finding a long enough USB cable to do the tethered boot). Was also able to install atv flash black, though it took a few minutes to find the Apple TV on the network. It also took 4 attempts to install the software successfully, the first three attempts failed, stating that it did not appear that my Apple TV was jailbroken. Anyone experiencing the same error might want to try it a few times. Once installed, everything (that's supported) works great. Thanks for the quick jailbreak! you think a untethered version will be available soon? Sorry, there was a minor issue in the Windows version of Seas0nPass. A new (fixed) version has just been released. Re-jailbreaking with this new version will resolve the issue you are seeing. The new version of MP mainly includes fixes for 4.4 (and 4.4.1), though a handful of DVD related fixes are also included. Hmm - would you mind opening a support ticket so we can look into why this was happening? Hi, If any one can help me... i downloaded the latests 4.4 firmware, run Seas0npass, get the DFU mode, and when the iTunes open to restore, i select the SP version of the 4.4 firmware, and iTunes sends a message that the firmware is not for the Hw or something like that... that means I can't jailbreak!! How do I get the Seas0nPass firmware to run in itune to custom restore atv2? My version is 4.4.1 - and I dont think the jailbeak is working???? I can re-install the version 4.4.1 - but not jailbeak it. Jailbreaking is geeky and technical. If one doesn't have any geeky bone in the body then it might be better to stick with firmwares supplied by Apple. The fact remains, it's highly likely that one will encounter more geeky stuff then terminology when jailbreaking devices. I agree that the media player is great but what I mainly use XBMC for is the Hulu, FreeCable, and other video streaming plugins. If those were available without XBMC it wouldn't be a deal breaker for me. it solved the problem for me. Everything is working fine, except for one thing: Mediaplayer can no longer see the shares on my local network. For now, 4.4 is the recommended version. Keep in mind this is a tethered jailbreak, so the tethered boot process must be performed each time the AppleTV starts up. Hmm - was Home Sharing re-enabled after updating to 4.4? Hmm - what issue are you seeing? We'll update this post as other plugin updates become available. You can also keep an eye on the XBMC forum. Seas0nPass aims to make the process as simple and straightforward as possible.